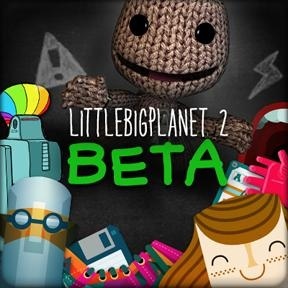 Just like with the first title, LittleBigPlanet 2 will allow players to get a taste of the game through a beta testing phase. Many gamers first got to experience LittleBigPlanet's level creation tools by participating in the game's beta test that began in September 2008. The tools in LittleBigPlanet 2 are said to be much more robust than in the first game, and Media Molecule wants your help testing them out online too. Media Molecule announced on the LittleBigPlanet forums that a LittleBigPlanet 2 beta test is "coming soon," though the company hasn't decided how it will recruit for the beta yet. LittleBigPlanet's test phase was considered a closed beta (not open to the public), but plenty of codes were thrown around allowing thousands in. More news on the test was also promised "soon." Because player creations from the original LittleBigPlanet's beta were almost wiped, but later saved, a spot in the sequel's beta is presumably sort of like a head start, though Media Molecule hasn't confirmed what the beta will entail yet. With LittleBigPlanet 2 set to release in three months on November 16, we can only hope that any issues that could cause unexpected delays will be worked out through the beta before then.